She respected the uniqueness of each individual child, family member and colleague and this compassionate respect permeated her feelings about nature. She was a leader in cooperative education on Long Island and incorporated Jean Piaget’s philosophy into her work, which supports the belief that children learn best by active involvement in first-hand experiences. 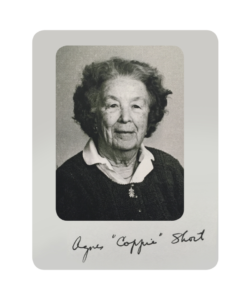 Coppie’s influence on our cooperative structure and curriculum lives on in our school community today, and we all continue to gain from her wisdom.